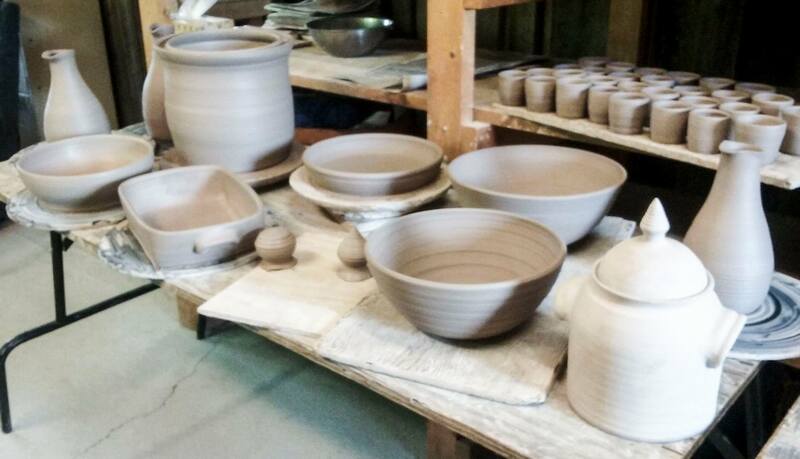 This class will explore making pottery through wheel throwing and hand building. We will discuss various stages of working with clay including how things get fired and how to glaze. Great for all stages. This class is offered as a 4, 6, or 8 week class. All three options start on January 28. 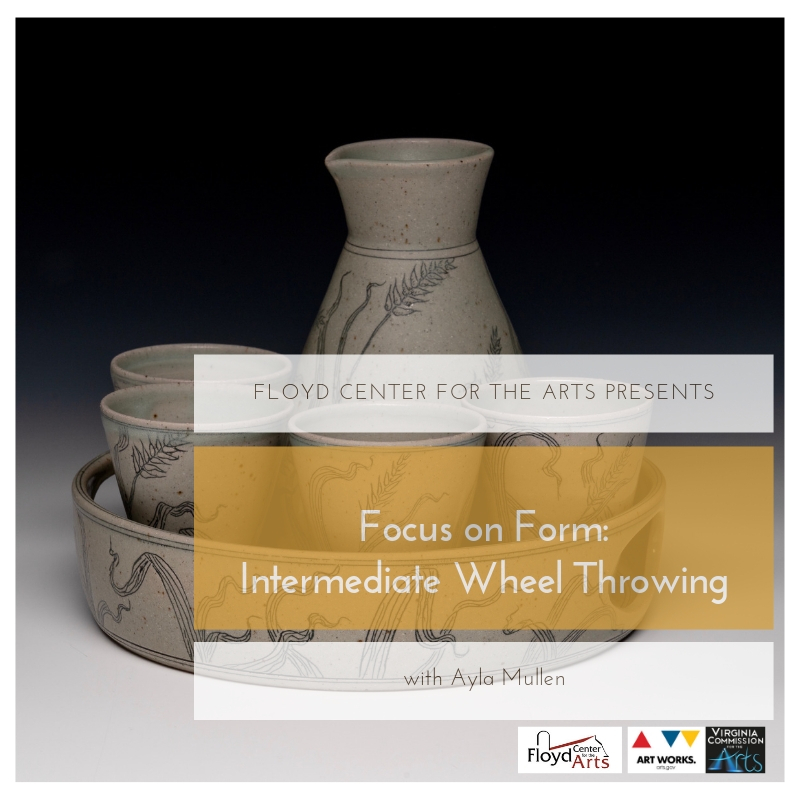 We’re having technical difficulties with our web site, so please contact the Center at 540-745-2784 or education@floydartcenter.org to sign up for this class. About the Instructor: Abby Reczek graduated from Tyler School of Art in Philadelphia, PA in 2012. She is originally from this area of Pennsylvania, but her love of pottery has brought her down to Virginia. Abby moved to Floyd to work as Silvie Granatelli’s apprentice in 2013 and after a two year commitment she started a home studio. She now works from home as well as co-owning Troika Crafts in downtown Floyd. Abby’s work is largely based off things she sees in nature and reinterprets through line drawings which she carves onto her pieces.